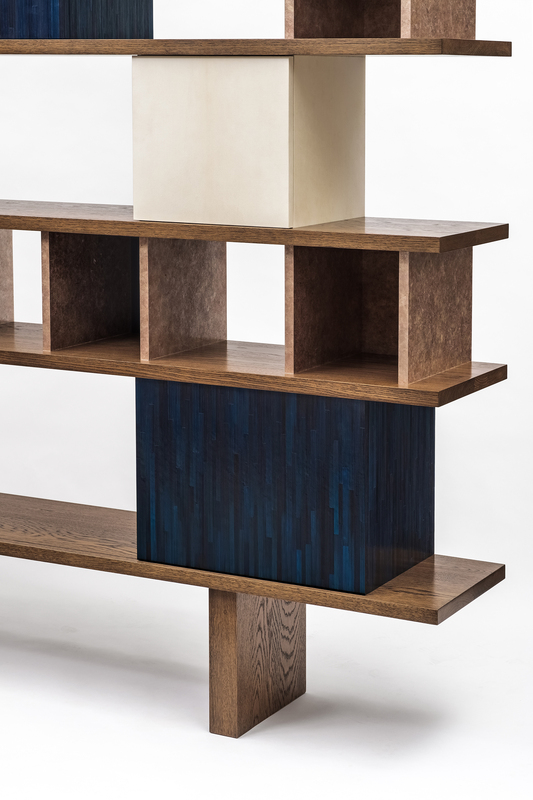 Atelier Viollet presents a modern interpretation of a Charlotte Perriand bookcase reimagined by Jean-Paul Viollet. The redesigned bookcase pays homage to Perriand’s use of visually stimulating geometric form. 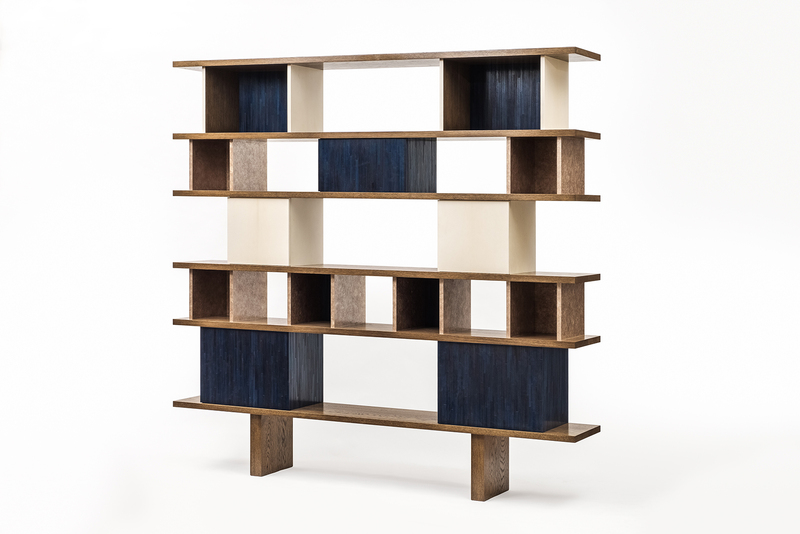 Here, the subtle tones of the mica and parchment sections are complimented by the deep blue straw marquetry. The bookcase highlights Atelier Viollet’s strength in combining varied, yet unique materials, along with a vivid imagination for past designs.